Towards the end of last month the Home Show opened up and just the other day We <3 RP opened up. With the Faire going on I was terrible about blog posts or anything like that, or getting the announcements out there. With the little time I had I was visiting or working there because it only comes once a year. I’ll be writing that up in a little bit. Right now it’s all a little raw, a little new, and a little bit thoughtful. However!!! I would like to highlight the recent things for these two awesome events. With life and everything I went with…. meditation. Peace. Tranquility, and some thought to the mind, body as well as spirit for the rounds. 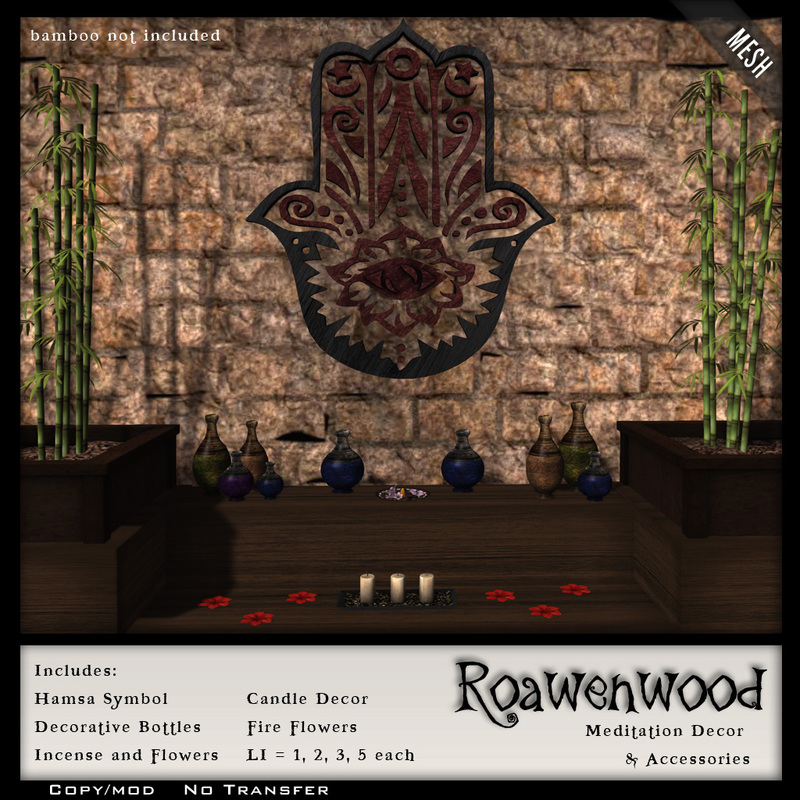 Both sets of items work together creating a harmonious blend of items to outfit something like a mediation room or garden. I have other pieces I’d like to add and all but this is what we have so far. 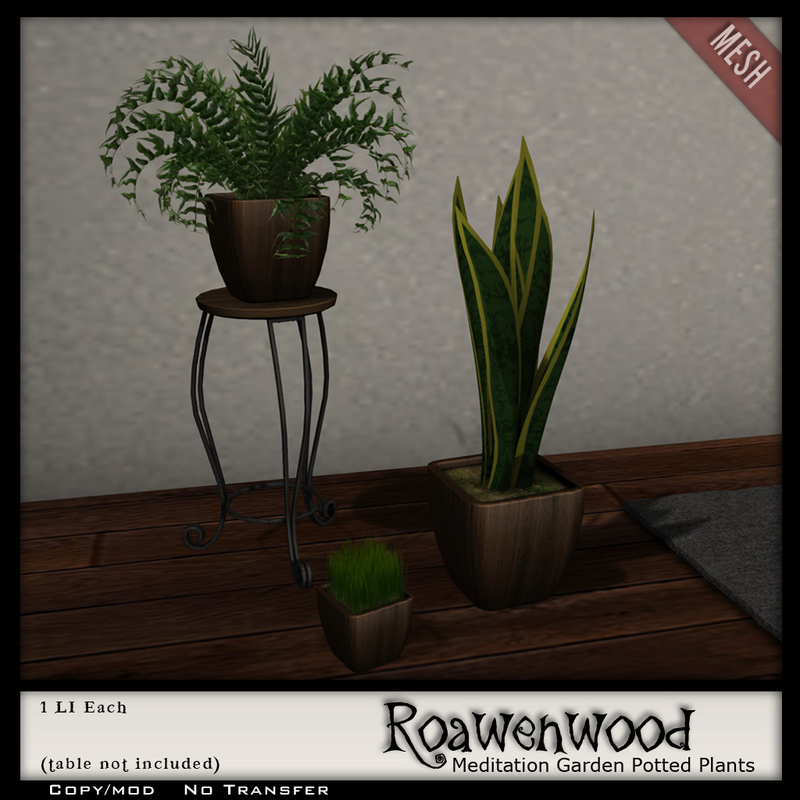 For the Home Show there is a set of items and plantings. I always love having the little pieces to round out a set so I added them as their own items sets. I’ve been asked by people to do this before, along with creating the scene offering the pieces so they can get just them. So this time I listened. First item though is a bigger one, modified version of the Duchess set this one is for m/f couples… massages and cuddles. 20 different massages for a full body massage along with 18 cuddle sets. The next couple items are meditation cushions, and a yoga/tai chi mat. 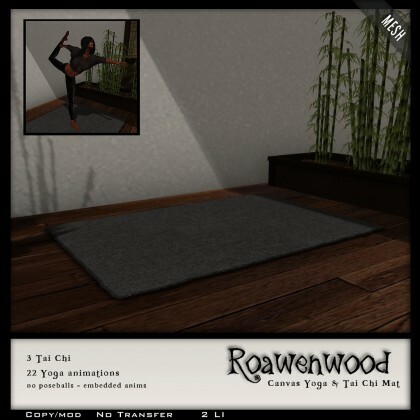 The yoga mat has 22 yoga animations, and 3 tai chi animations. 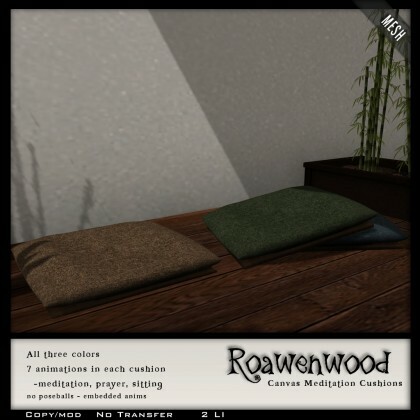 The cushions have 7 animations in each cushion, three colors are included in the pack. The tones of these are more muted. A navy, green and tannish type thing. Something a bit more soothing to the senses. 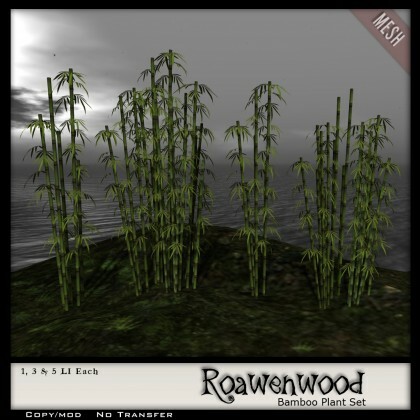 One thing that I am particularly proud of is my bamboo. 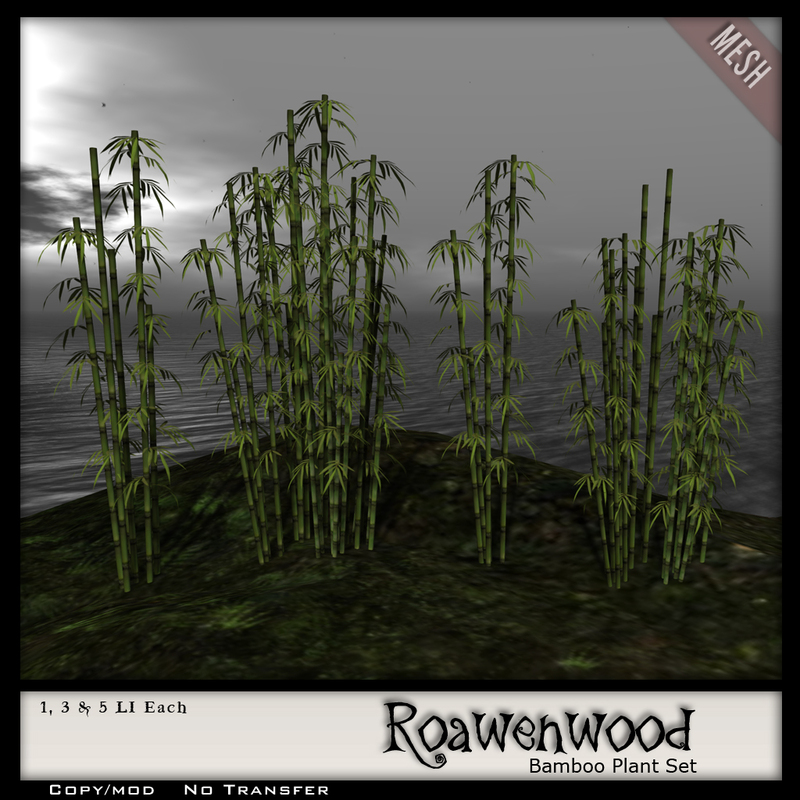 I made some bamboo. 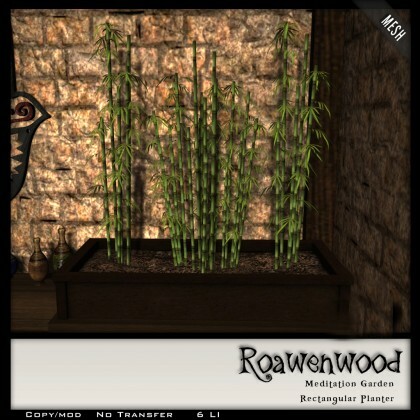 I love love love this stuff and have it at my house in real life too. So fiddling and playing around I got some plantings done that I was quite pleased with. I’m offering them in different forms. As the plants for outdoor, and then some potted versions. At the Home Show I have the plantings and small potted versions along with a set of potted plants of various types. A fern, sword plant, and grass. At We <3 RP I have a rectangular planter available for the bamboo. So there’s a lot of options for them and pretty much for whatever mood you might be in. 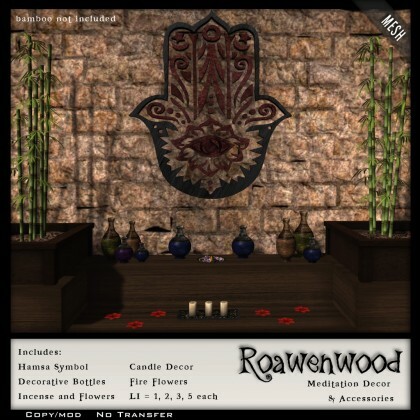 As part of We <3 RP I also have a set of accessories and decor for the meditation room. They’re all on display at the Home Show together which makes it look pretty good. We <3 RP is two years old this month, it’s a little bit crazy considering I’ve been working that event since it’s beginning. Time flies by so badly. I had a different set in mind for it technically but wasn’t able to get it all done so I will do that for another time or something else however, like I said. 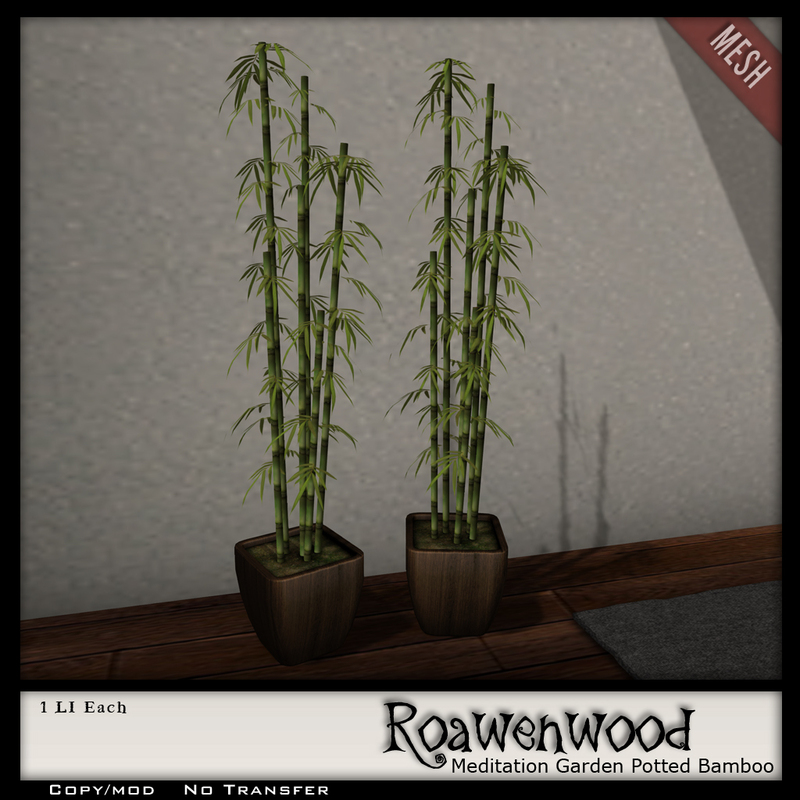 I have some bamboo planters over there, the meditation decor and a FREE gift. 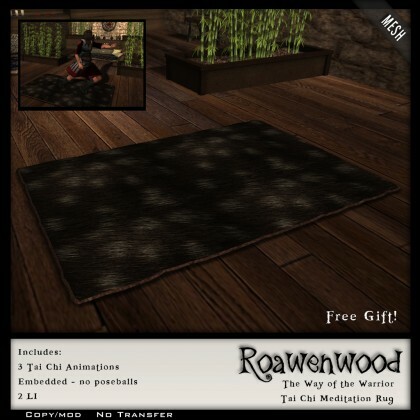 The free gift is a modified mat with just the 3 Tai Chi animations in it. I’ve called it the Way of the Warrior mat, considering it could be great for male types too to use. 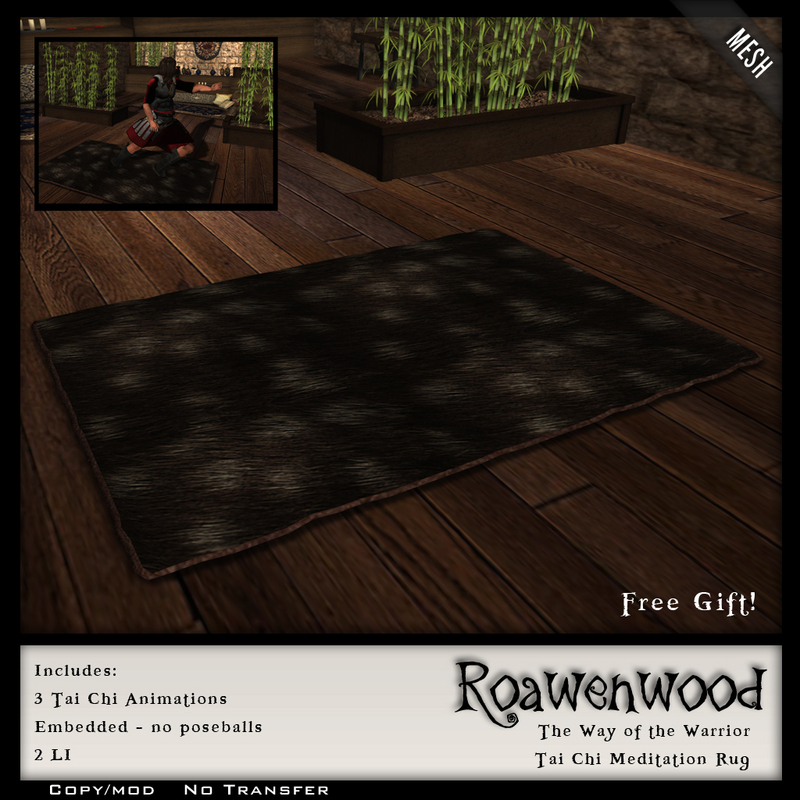 This one is a darker furrier rug and it is free at We <3 RP all this month. Hopefully you like…. I suppose it’s all relative in the end. I’m considering making a little outdoor gazebo thing or something to house all of this so that there’s a place to do it. I like that idea. Might not be a bad one hm? Have a good one and will be posting other stuff soon. Posted in: Furniture, Landscaping & Prefabs, Sales and Discounts, Uncategorized, We <3 RP!